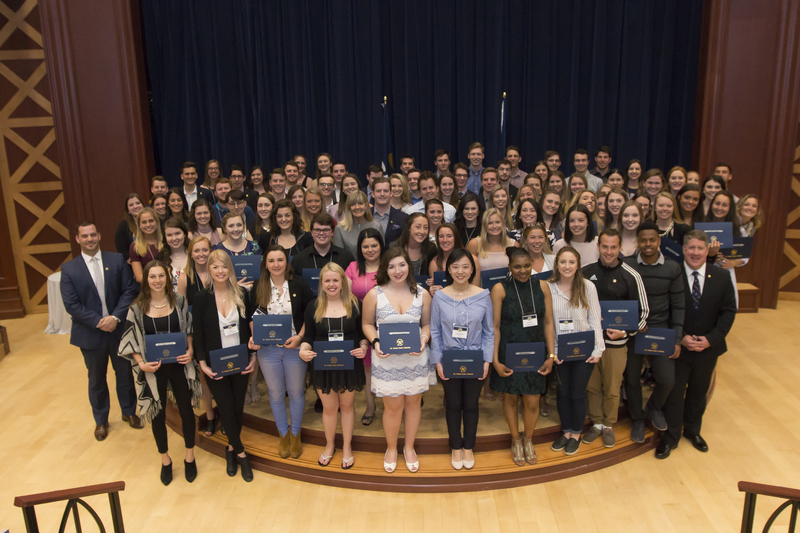 The President’s Circle of Young Alumni began in 2008 with an inaugural induction of 65 members from the Class of 2008. The President’s Circle is an honour awarded to outstanding graduating students in recognition of their contribution to student life and achievement, as well as their future role as young alumni leaders. Students become members of the President’s Circle at the invitation of the President of StFX. Members of the President’s Circle of Young Alumni are tasked with keeping the spirit of their class alive and vibrant after graduation. They are asked to support their life officers in planning class reunions at Homecoming. And they will be welcomed as honoured members of the President’s Circle by StFX alumni chapters around the world.